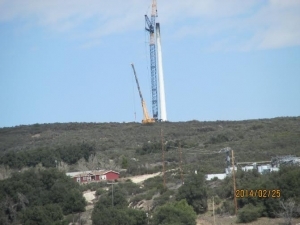 “Today, Infigen was taking down their fried Kumeyaay Wind turbine from the Dec 16th turbine fire that sparked a small brush fire on the land they lease from the Campo tribe. 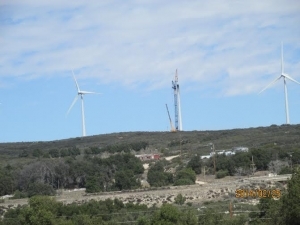 The 25 Gamesa 1.5 MW turbines were first installed in late 2005 and suffered a still unexplained catastrophic failure during a storm in December 2009, that resulted in all 75 blades and generators being replaced in early 2010. The Infigen v Gamesa lawsuit was finally settled last year or so. 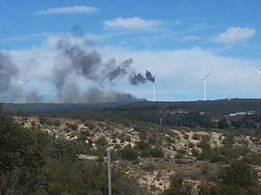 So the Gamesa turbine that burst into flame ion Dec 16th was about four years old. The attached photos (taken by me) show today's dismantling, the Dec 16th flames and smoke, and proximity of homes. It is pretty obvious, Hiker Gal. 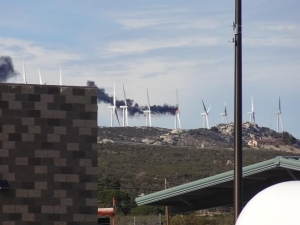 And this is just one mishap on one wind farm. Imagine these kinds of problems--there are many more--multiplied many times around the globe. Expensive, unreliable and threats to the environment wherever they are, wind-farms are a bad deal. 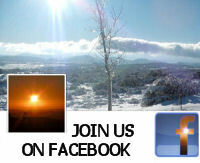 Just point to the Kumeyaay Wind farm as to why we should NOT build any more. It's pretty obvious, isn't it?